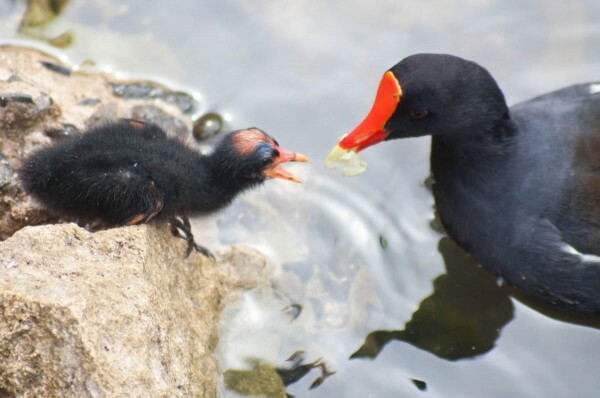 Obviously, a lot of bird interactions are also examples of other behavior, like child rearing or feeding. From a photographic perspective, I think the main thing to keep in mind is that an interaction between two birds is usually the most interesting thing you can capture in any given scene. Always be on the lookout for birds interacting with each other, or ones that look like they are about to. This can be a great way to focus more carefully when photographing a large flock. Also, common birds interacting with each other may be more exciting to photograph than a more unusual bird doing nothing. 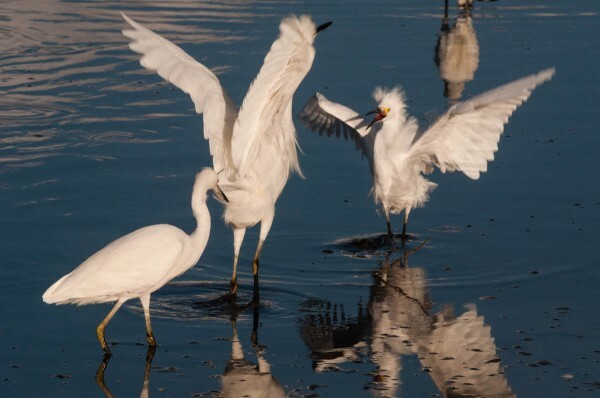 In a large group of egrets, certain individuals seemed more inclined to start trouble. 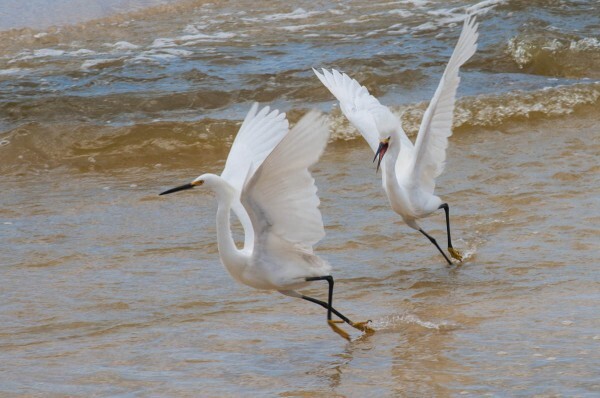 Other egrets headed towards their personal space was strong indicator that sparks would soon be flying. When Snowy Egrets gather at a prime foraging spot be on the lookout for confrontation. Being aware of your surroundings is key when birds are coming together to interact. The viewfinder gives you tunnel vision when you are following a single bird. You may not realize that “your” bird is approaching another, or vice versa, until the last moment. 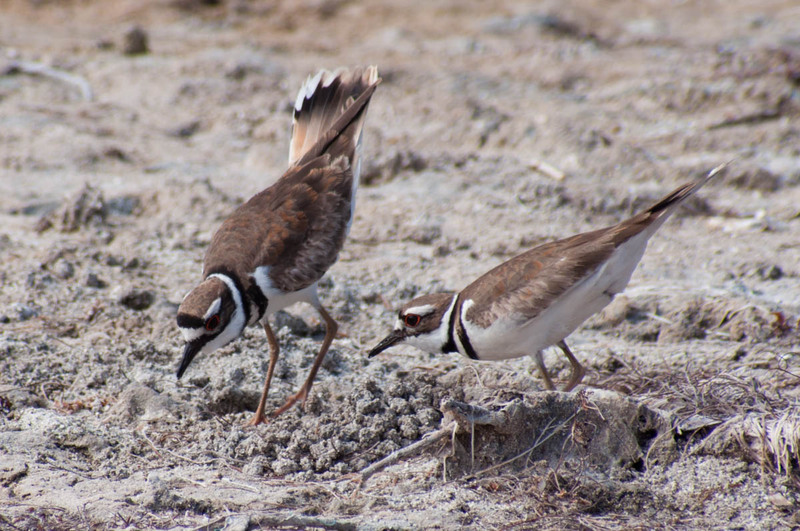 A pair of Killdeer perform a scrape ceremony, part of the breeding process that involves suggesting and agreeing upon a nesting site. A behavior like this is impossible to capture in a single photo, so it is best to take many to capture different parts of the interaction, and hopefully some that express the essence of what the birds were doing.